Here we are, my first picture of an actual card. I have spent the entire evening trying to get my background to work correctly, I managed it eventualy so here is a card as well. 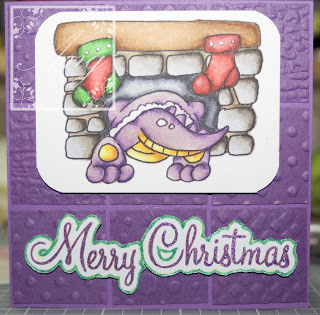 Supplies include a Dustin Pike Image, Purple card and I used fiskars texture templates for the squares.